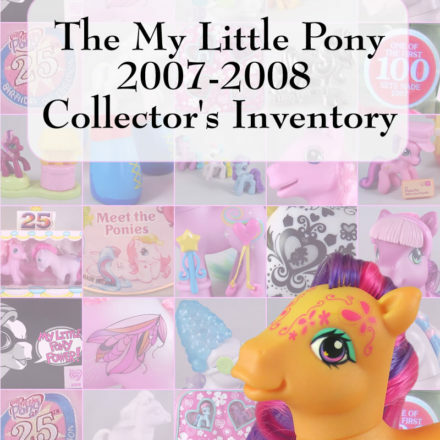 The My Little Pony toys released between 1997 and 2003 have long been shrouded in mystery. 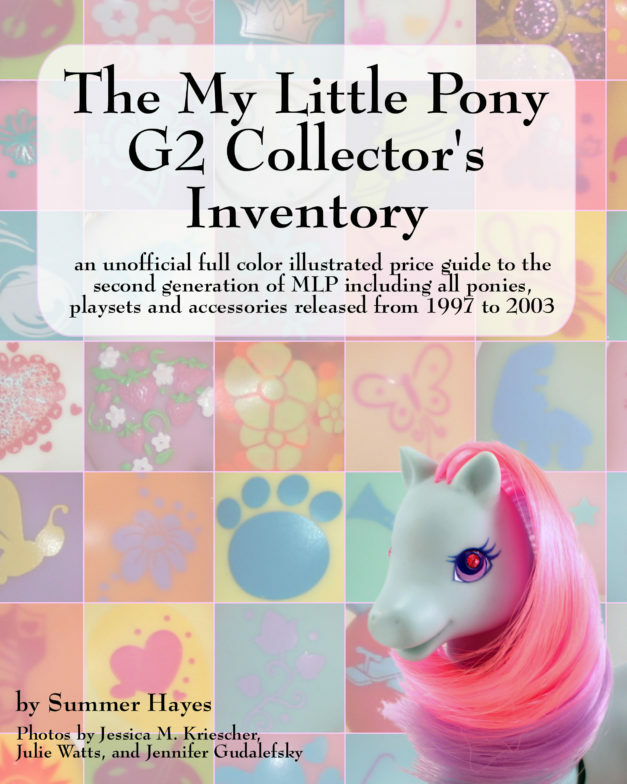 This second generation (G2) was unusual and, between a completely different style and a limited run, collectors didn’t know what they should be looking for, let alone what they were missing. 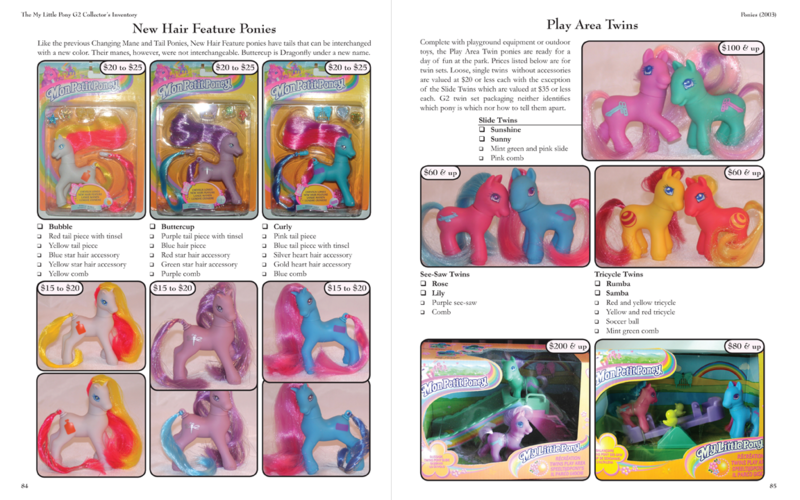 Information about these collectible toys, released through Hasbro’s Kenner Toys arm, was scattered, confused and incomplete. 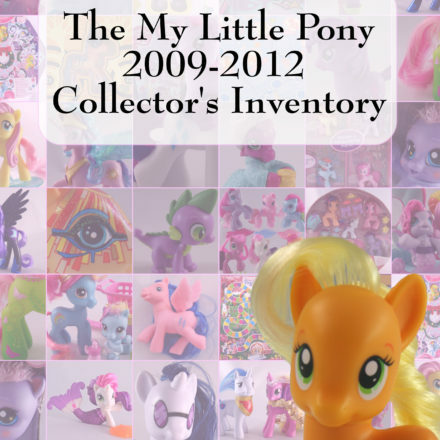 . . until now! 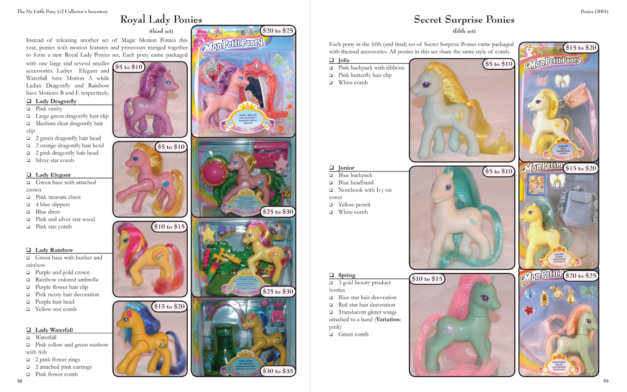 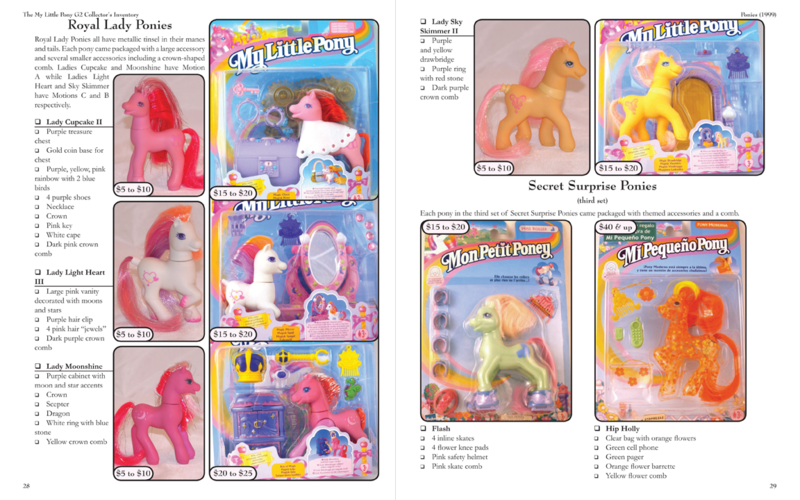 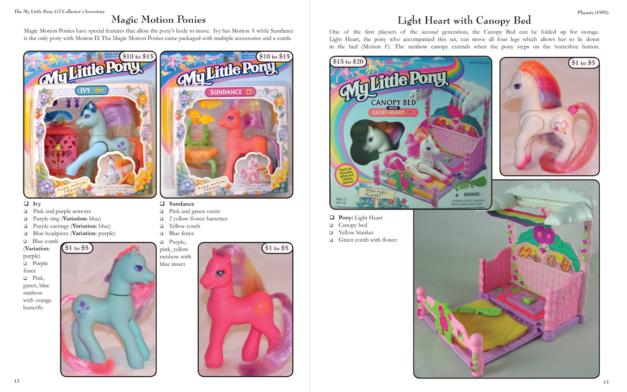 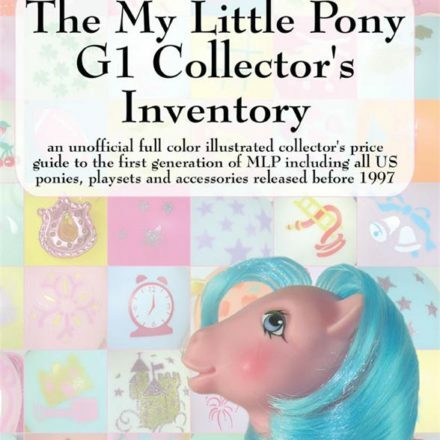 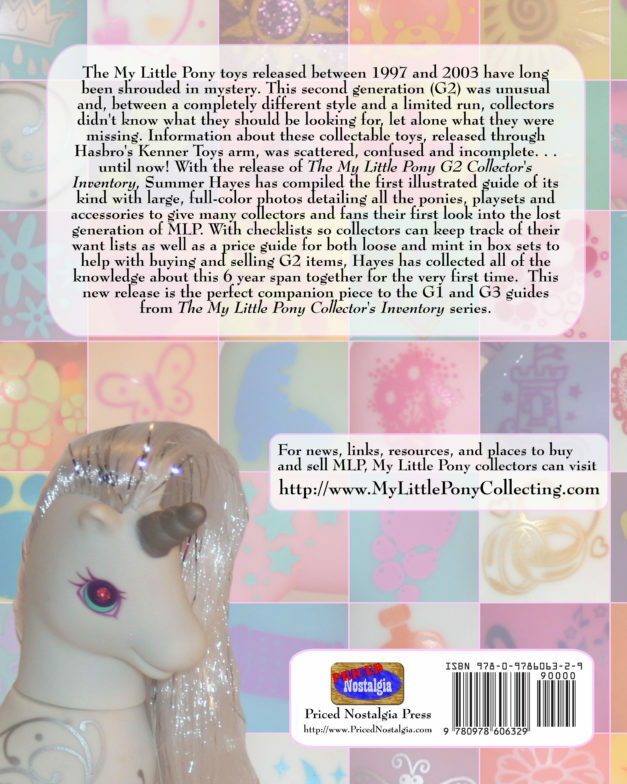 With the release of The My Little Pony G2 Collector’s Inventory, Summer Hayes has compiled the first illustrated guide of its kind with large, full-color photos detailing all the ponies, playsets and accessories to give many collectors and fans their first look into the lost generation of MLP. 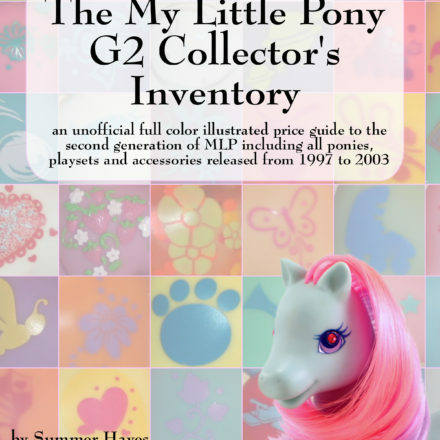 With checklists so collectors can keep track of their want lists as well as a price guide for both loose and mint in box sets to help with buying and selling G2 items, Hayes has collected all of the knowledge about this 6 year span together for the very first time. 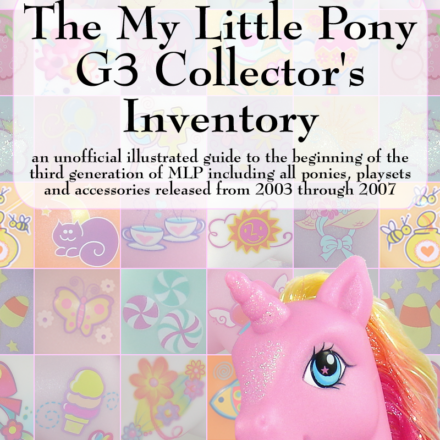 This new release is the perfect companion piece to the G1 and G3 guides from The My Little Pony Collector’s Inventory series.